Ann Kathrin Bronner of Germany's Audiophil.de recently conducted an interview with Eicca Toppinen and Paavo Lötjönen of the Finnish cello rock band APOCALYPTICA. You can now watch the chat below. 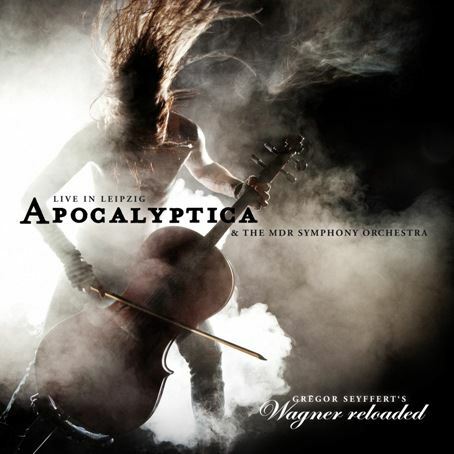 APOCALYPTICA released "Wagner Reloaded - Live In Leipzig", an epic live collaboration with the acclaimed MDR Leipzig Symphony Orchestra, on November 19 on BMG. The album's release is perfectly timed since 2013 marks the 200th anniversary of the birth of iconic German composer Richard Wagner. For "Wagner Reloaded - Live In Leipzig", APOCALYPTICA created new compositions based on Wagner's body of work and his life, teaming with award-winning choreographer and dancer Gregor Seyffert to stage a brilliant and magical, cross-genre event featuring a live concert and theatrical production. "We've been asked many times to do this type of project, but this is the first one we got excited about," explains APOCALYPTICA's Eicca Toppinen. "The mission was to celebrate Wagner, [so] we took elements of his life and used his original music and rearranged it," Toppinen adds. 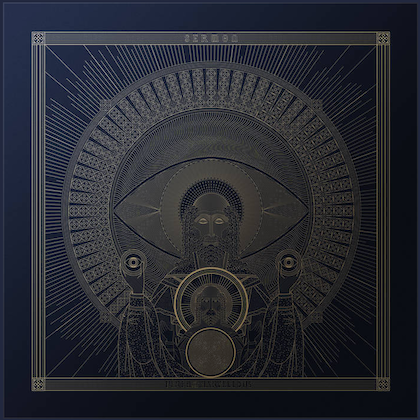 "It was like writing a score for a movie, I had a list of themes and I had to think about the length of scenes and write the music while envisioning APOCALYPTICA performing on a massive stage with the symphony, choir and one-hundred dancers." May 22, 2013 was the 200th anniversary of the birth of the composer Richard Wagner. The Berlin choreographer, award-winning dancer and artistic director of the Berlin State School of Ballet Gregor Seyffert (best dancer in the world, winner of the German dance award) staged an exceptional cross-genre spectacle with a combination of dance, artistry, object theatre, audiovisual media and a live concert that enabled audiences to experience the oeuvre of Richard Wagner. The focus was not on individual works or dramas but on visual presentation of the unique life and work of Richard Wagner, presented on stage in this form for the very first time. To stage the theme and Wagner's biography in a contemporary way, Gregor Seyffert wanted to create new musical highlights by bringing today's popular rock music together with compositions by Richard Wagner. A contemporary equivalent was created by the compositions of the Finnish cello-rock band APOCALYPTICA, which, with its unmistakable sound, provides a bridge to modern popular music.